Can too much choice be a bad thing? We don't think so! 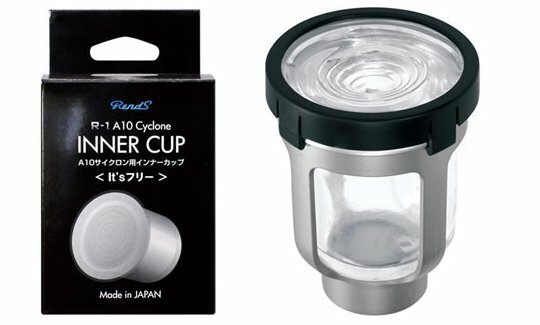 The latest cup accessory for your Rends A10 Cyclone robotic masturabtor, the It's Free is also the most simple but effective in the series. Take a look at the opening to this cup; it's tight and swirled, with the result that it makes a vacuum to grip your member even tighter. The chamber is also deeper than the other cups and also empty inside. What, sounds like a downside? No! If you like to have space to move (for example, you are exceptionally big down there), then this cup is the one for you. Or you can also use it to put in parts of other onaholes, which can then provide your cherished, favorite silicone holes with a good throbbing energy from behind.